Description: The product is made of the best long-silk of mucilage glue and imported dye of environmental protection. 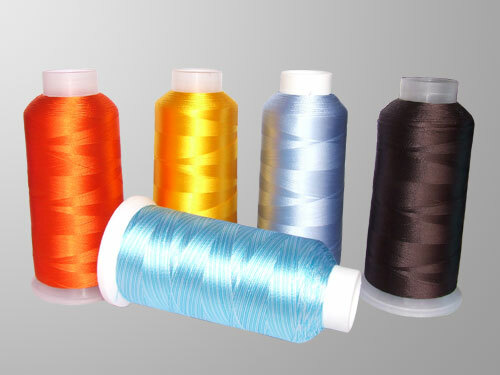 The product has the characters of complete variety, bright color, soft, smooth, few joint, without disconnection 1.8CV/DTEX MIV, intensity and color fastness≥4 level. Main specifications: 75D 100D 120D 150D 250D 300D 450D 500D 600D etc..